Chronic stress can have a silent, yet dangerous, impact on your cardiovascular health. Here is how to lessen its effect. Dialing down your stress can protect your heart from high blood pressure and inflammation. Stress is not always a bad thing. In fact, it has an important job. Stress motivates you to be alert, energetic, and focused, especially in times of trouble. But too much of anything can lead to problems. "Chronic stress can cause tension headaches, fatigue, and depression," says Dr. Ami B. Bhatt, director of the adult congenital heart disease program at Harvard-affiliated Massachusetts General Hospital. "We often recognize these problems, but we may not realize the impact constant stress places on the heart. It can be like a vise that slowly tightens over time." In general, stress tends to increase over a lifetime. 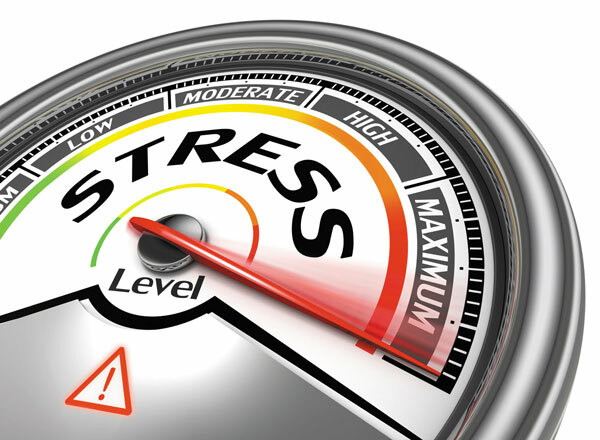 Health, social, and economic issues can all intensify, which makes stress more prevalent. Your body reacts to stress in different ways. First, levels of chemicals called cytokines that promote inflammation in-crease in the blood. These small proteins work to fight infections. When your body senses trouble, levels of the stress hormone cortisol spike to turn on your fight-or-flight response. Once the stressful situation passes, everything returns to normal. However, when stress becomes a constant presence, and you stay in this tense state for longer periods, your body gets flooded with these chemicals and hormones. Over time, they can weaken your immune system and increase inflammation, both of which can raise your risk of cardiovascular disease, heart attack, and even stroke. Chronic stress also can lead to other issues that indirectly affect heart health, like higher blood pressure, excess weight from stress-related eating, or high blood sugar levels that could lead to diabetes. How can you protect your heart from chronic stress? The key is not to avoid stress all the time—that is unrealistic—but rather to change your reaction to it. Emotions have a profound effect on heart health, according to a study published in 2014 in Biological Psychiatry. Researchers measured brain activity and scanned the arteries of 157 healthy adults as they viewed unpleasant pictures meant to stimulate a stressful reaction. When they checked the participants' blood, the researchers found elevated levels of cytokines in the people who had greater brain activation from negative emotions. "This is why managing stress is so important for protecting your heart," says Dr. Bhatt. "If you can better control how you react to stressful events, you can stop stress from building up." Enlist an activity buddy. Exercise releases calming endorphins and is one of the best ways to burn off stress and keep it under control. "A workout or activity friend can keep you motivated by helping you stick to a regular routine," says Dr. Bhatt, "whether it is going to the gym, playing golf, or just taking an evening walk. If you do it with someone, you are more likely to keep it up." Do something you enjoy. "If you had half a day to do whatever you wanted that made you feel good, what would you do?" asks Dr. Bhatt. "Men tend to put their enjoyment last after other people's needs, but you require regular 'me' time," she says. "Make a list of what really makes you happy and implement a plan to do those things on a regular basis, whether it's daily or weekly. It could be something as simple as taking a relaxing swim or playing with the grandkids." Try deep breathing. Sit or lie down in a comfortable position and close your eyes. Take a deep breath through your nose until your lungs are full, hold for one to two seconds, and then exhale completely out the mouth. Do this 10 to 20 times. Another option is to count breaths, which helps keep your mind calm and focused. Take deep, full breaths at a steady pace, but count "one" on the inhalation and "two" on the exhalation and repeat until you reach 20. Then count backward, and repeat the cycle for several minutes. "Calm breathing, even for only a minute, a few times a day, can improve stress levels immediately, and with practice, make you calmer over all," says Dr. Bhatt. "There are even mobile apps that can help guide you if you need it." Avoid stressors when possible. Many people know which situations make them stressed. While you may not be able to avoid all of them, you can reduce your interaction. For instance, if crowds at stores trigger a negative response, try to shop at hours when there are fewer people. If you are sensitive to stress, blame your genes. Research has found that a variation in a DNA sequence can make a serotonin receptor that causes a hyper-active reaction to stress. And if you have heart disease, this sensitivity may increase your risk of a heart attack or stroke by 38%, according to a study in the Dec. 18, 2013, issue of PLOS ONE. In the study, the researchers reported that men with this genetic variant had twice as much of the stress hormone cortisol in their blood when exposed to stress, compared with men who did not have the genetic variant.